Alexa, the voice assistant from Amazon, has increased its presence across various devices in our home - Bluetooth speakers (Echo), and smartphones (HTC U11). Now it is ready to enter the workplace in the form of "Alexa for Business." The idea of Alexa for Business is to provide employees access to the smart digital assistant so that they can delegate few tasks and make their days easy. Trivial tasks like scheduling meetings, setting up a conference call, and verifying meeting room equipment and notifying the IT team in case something is not working can be handed-over to Alexa. "Tens of millions of people already count on Alexa at home, in their cars, and on mobile devices to answer questions, provide news and information, and stay connected to friends and family," said Peter Hill from Amazon. "Alexa for Business extends the simplicity of voice control to the workplace while adding powerful tools to help businesses deploy and manage devices, create skills, and deliver voice-first experiences in a scalable way—all backed by the AWS Cloud." The management console available for businesses will let them add users and assign skills across all Alexa-enabled devices on their network. As far as skills are concerned, companies like Cloudwatch, Salesforce, Splunk, Twine, and Zoom have already created a few. I am a bit baffled by not seeing Microsoft on that list. Their Windows operating system along with the Office Suite is the most used combination in the business world. It would be great if Alexa could leverage that client base. I expect this to happen soon since Amazon has earlier successfully managed to cut a deal which involved Alexa and Cortana talking to each other. 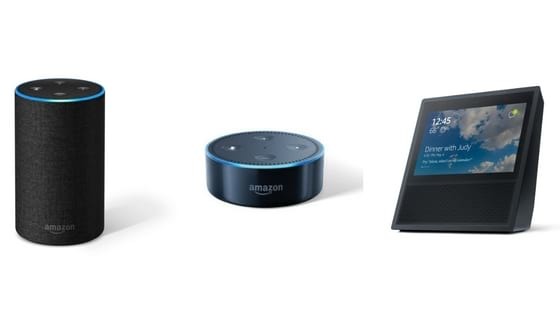 In the starter kit for Alexa for Business, a business can opt for three Echos, or two Dots, or two Echo Shows.